The North Marion softball team got off to an up-and-down start in the opening week of the 2019 season, splitting a quartet of non-conference games to head into spring break with a 2-2 record. The team rallied at the end of the week, pulling out a 15-13 win in the first half of a double-header against the Blanchet Catholic Cavaliers on Friday before spring showers squelched the second game in the fourth inning to put a cap on the day. The opening victory of the day over the Cavaliers (3-2) seemed like a sure thing after the Huskies jumped out to a 9-1 lead after three innings thanks in part to an RBI-triple from freshman Anna Fuentes, as well as a double from senior Samantha Baylie that drove in a pair of runs. But the winds began blowing in Blanchet's direction in the second half of the game, as the Cavaliers rallied to make it a 15-10 contest going into the bottom of the seventh inning. Blanchet tagged on three more runs with no outs before the Huskies finally got out of the game, using a fielder's choice, followed by a force-out play at third base to get their second out of the inning. With a tying run at the plate, North Marion starting pitcher Jasmine Calkins induced a ground ball to Fuentes at third base, who got the force out to first baseman Emma Beachy to finish the game. Baylie led the Huskies with four RBIs, followed by three each from Fuentes and sophomore Lili Piercey. In the follow-up game, North Marion held a 2-1 lead before umpires called the game on account of the rain. 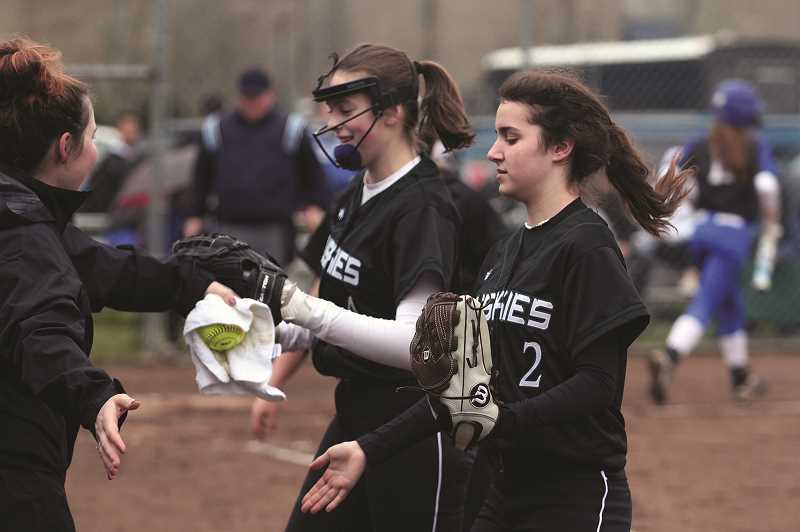 Earlier in the week, the Huskies fell 13-2 at home to Scappoose and 5-0 on the road at Astoria. North Marion will return tO the coast this weekend when they take part in a spring break tournament hosted at Seaside High School. The Huskies will open against the Seagulls on Friday and finish with games against Woodburn and Umatilla on Saturday.